PMT TV customers are eligible to create a FREE online account to access Watch TV Everywhere programming (WTVE) on a computer, tablet or other mobile device. All you need to do is create an online account. You will need your account number and the last name from your PMT bill to register. Once registered, you will have access to watch TV at home or on the go! The channel you are trying to access on your device must be in your Cable TV package in order to watch the channel online. More channels are being added all the time, so please continue to check back to see if you favorite channel is available. To begin the sign up phase of watchTVeverywhere, click here. Select PMT from the drop down menu. Click Register to set up your free account. Enter the Last Name of the PMT account holder and the Account Number as they appear on the PMT billing statement. 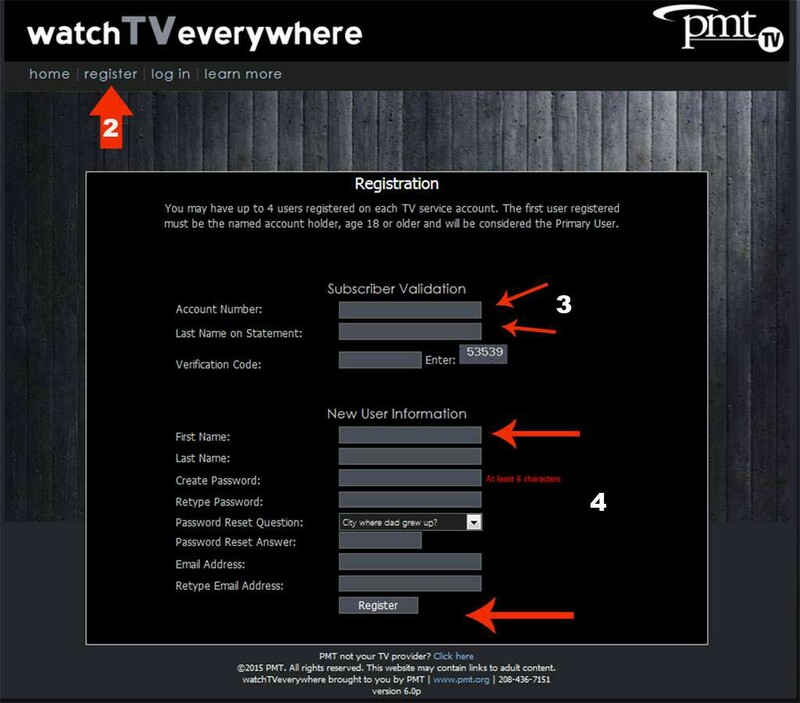 Check your email for the validation email from WatchTVEverywhere and click on the validation link in the email. Congratulations! You may now login and see what networks are available.